Hosted from 12 May – 29 July at the NIROX Sculpture Park in the Cradle of Humankind,the exhibition is a collaboration between the NIROX Foundation, South Africa and Wanås Konst, The Wanås Foundation, Sweden. NOT A SINGLE STORY is the NIROX Winter sculpture exhibition 2018. The exhibition is an exchange between sculpture parks on two continents looking at individual artistic practices as overlapping dialogues and it brings forward contemporary concerns and working methods related to sculpture. 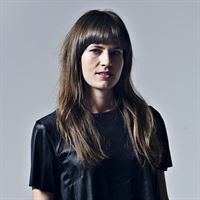 NOT A SINGLE STORY is co-curated by Elisabeth Millqvist and Mattias Givell, the leadership duo behind Wanås Konst in Sweden. The exhibition and its educational program are made possible with the support of The Swedish Postcode Foundation with additional support from The Swedish Embassy, Pretoria and Swedish Institute. 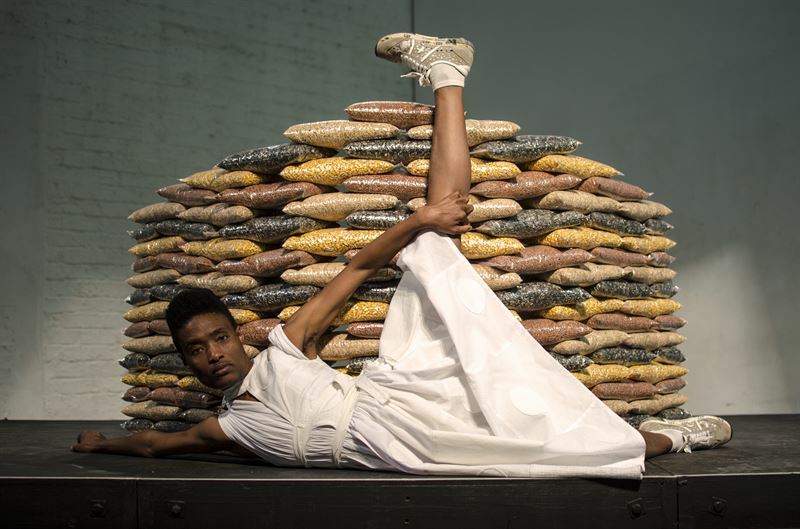 The NIROX Foundation and Wanås Konst are pleased to announce that the following artists will participate in NOT A SINGLE STORY: Jane Alexander (SA), Beth Armstrong (SA), Lena Cronqvist (SE), Latifa Echakhch (MA/FR), Frances Goodman (SA), Lungiswa Gqunta (SA), Lubaina Himid (ZAN/UK), Mwangi Hutter (KE/GER), Ayana V Jackson (US), Bronwyn Katz (SA), Gunilla Klingberg & Peter Geschwind (SE), Marcia Kure (NIG/US), Marianne Lindberg De Geer (SE), Esther Mahlangu (SA), Caroline Mårtensson (SE), Whitney McVeigh (UK), Nandipha Mntambo (Swaziland/SA), Sethembile Msezane (SA), Zanele Muholi (SA), Yoko Ono (Japan/US), Claudette Shreuders (SA), Mary Sibande (SA), Sophia van Wyk (SA), Nelisiwe Xaba (SA). The exhibition combines existing works with new productions that will occupy and transform the landscape. 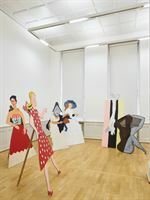 Titled NOT A SINGLE STORY, the exhibition is dominated by women artists in a response to a very singular art history. The artists represent a diversity of perspectives as they range from forerunners to emerging artists within contemporary art in South Africa, the African diaspora, Sweden and internationally. Notable is the participation of Yoko Ono, often seen as the grandmother of conceptual and performance art, who is presenting Wish Trees, an instruction-based work that she has realised in different parts of the world. Yoko Ono has titled her iteration for NIROX Wish Trees for Hope. 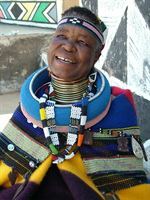 Now 82, Esther Mahlangu has become iconic. She is known for her colourful paintings that bridge contemporary disciplines such as pop art, abstraction and traditional Ndebele paintings. Following the customs passed down from generations of women in her family, her brightly-coloured murals have captured the attention of audiences around the globe. For NOT A SINGLE STORY Mahlangu will present a mural on an existing building, with her characteristic pattern of colour and geometric abstraction. Leading South African artist Jane Alexander will exhibit Security. This is the second time Alexander will exhibit in the NIROX Sculpture Park after showing in 2010. Security continues Alexander’s language concerned with borders, security and displacement. We are also pleased to welcome back Beth Diane Armstrong, Frances Goodman, Whitney McVeigh, Nandipha Mntambo, Mary Sibande and Nelisiwe Xaba for NOT A SINGLE STORY. 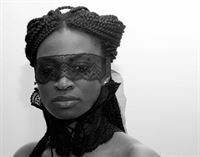 NOT A SINGLE STORY will showcase work from Africa and the diaspora with the inclusion of Kenyan-German artists Mwangi Hutter, American-South African artist Ayana V Jackson, U.S-based Nigerian artist Marcia Kure and Moroccan-French artist Latifa Echakhch. Emerging artists in the exhibition include Bronwyn Katz, Sophia van Wyk, Sethembile Msezane and Lungiswa Gqunta who close the loop on the generational dialogue between artists. They will exhibit for the first time at the NIROX Sculpture Park as well as the Sweden-based artists Lena Cronqvist, Gunilla Klingberg and Peter Geschwind, Marianne Lindberg De Geer, and Caroline Mårtensson who all are introduced to a South African audience for the first time. The exhibition and its comprehensive educational programming aimed at children and youth to expand understanding of life and art, is supported by The Swedish Postcode Lottery with additional support from The Swedish Embassy, Pretoria and Swedish Institute. The exhibition NOT A SINGLE STORY and the educational exchange with talks, tours and workshops is presented in the NIROX Winter Exhibition Program context. Opening: 2018 Winter Sculpture Fair, 12 – 13 May 2018. The NIROX Foundation Trust is a not-for-profit trust established to foster the arts. It occupies 15 hectares dedicated to a sculpture park, artist’s residency and concert venue, integrated into a 1 500-hectare private nature reserve, in the heart of the Cradle of Humankind World Heritage Site, on the western outskirts of Johannesburg. The residency hosts artists from across the world, to stimulate and exchange creative action and thought, in all arts disciplines. Since 2006 it has hosted more than 200 artists. The sculpture park produces two curated exhibitions a year, giving artists opportunity to produce and exhibit work that is otherwise difficult or impossible, due to the freedom of scale, content and production support provided by the facility. Entry to the sculpture park is free to the public. The open-air amphitheatre hosts up to 9 events a year, ranging through concerts for classical, opera, jazz, experimental and traditional music, poetry readings, dance and theatre. The Swedish Postcode Lottery’s belief is that the world is getting better with the help of strong non-profit organisations. The Postcode Foundation’s goal is to carry out that vision. The Postcode Foundation was established in 2003 by Novamedia Sweden AB, which operates and owns the Swedish Postcode Lottery concept. As a beneficiary to the Swedish Postcode Lottery, the Postcode Foundation annually receives part of the lottery’s surplus. This year, The Postcode Foundation was awarded 200 million Swedish crowns (SEK). 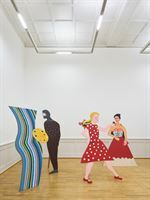 Wanås Konst – Center for Art and Education, presents and communicates contemporary art that challenges and redefines society, working outside in the landscape around Wanås in Skåne, southern Sweden. The permanent collection in the sculpture park is complemented with a program of temporary exhibitions, both outdoors and in the Art Gallery, and events such as guided tours, artists’ talks, performances and workshops engaging a wide audience. Wanås Konst produces site-specific international art and learning in an innovative and accessible way. The collection in the sculpture park has 70 permanent works, created specifically for The Wanås Foundation – Wanås Konst by artists such as Nathalie Djurberg & Hans Berg, Ann Hamilton, Jenny Holzer, Yoko Ono and Robert Wilson et al. The sculpture park has approximately 75 000 visitors per year and 8000 children take part in educational activities. Wanås Konst is run by The Wanås Foundation, a non-profit foundation created in 1994, in Östra Göinge municipality, in the South of Sweden, 1.5 h from Copenhagen, Denmark. 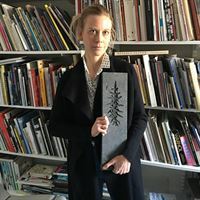 Founding Director Marika Wachtmeister initiated the art projects at Wanås in 1987. Since 2011 the foundation is led by Elisabeth Millqvist and Mattias Givell. Wanås Konst is part self-financed, part supported by state, regional and municipal funding, as well as by private foundations and sponsors. Wanås is a place in the world where art, nature and history meet. Wanås consist of a medieval castle, an organic farm, a scenic sculpture park and art center in southern Sweden as well as the newly opened Wanås Restaurant Hotel. Wanås Konst is part of European Land + Art Network (ELAN) and Wanås is a Long Run Destination – a leader in sustainable development within the tourism industry, community development and cultural management. Full list of artists announced for Not a Single Story, Hosted from 12 May – 29 July at the NIROX Sculpture Park in the Cradle of Humankind,the exhibition is a collaboration between the NIROX Foundation, South Africa and Wanås Konst, The Wanås Foundation, Sweden. NOT A SINGLE STORY is the NIROX Winter sculpture exhibition 2018. The exhibition is an exchange between sculpture parks on two continents looking at individual artistic practices as overlapping dialogues and it brings forward contemporary concerns and working methods related to sculpture. NOT A SINGLE STORY is co-curated by Elisabeth Millqvist and Mattias Givell, the leadership duo behind Wanås Konst in Sweden. The exhibition and its educational program are made possible with the support of The Swedish Postcode Foundation with additional support from The Swedish Embassy, Pretoria and Swedish Institute.